Featuring vegan comfort food, craft brews, art & entertainment. Get ready to experience the vegan festival that has dominated Toronto, Chicago, Houston and New York City! 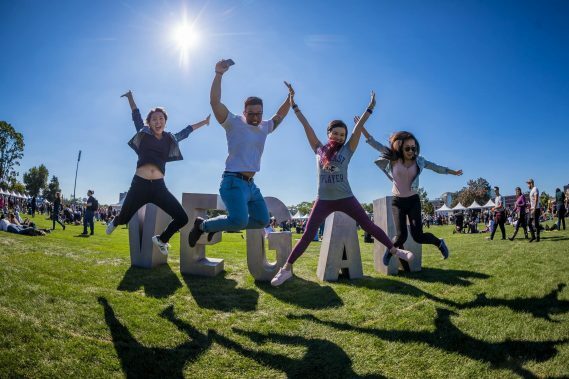 Boasting hundreds of vendors and 85,000+ guests in attendance across all shows, the Vegandale Food Drink Festival is branching out to show Floridians how to live large without exploiting animals. The first annual Miami Vegandale Festival will take place on Saturday, July 13th (11am – 7pm) at Historic Virginia Key Beach Park. $5 early bird tickets will be up for grabs for the first 500 guests on March 21st at 10am EST at www.vegandalefest.com. As the festival enters its fifth season, festival goers should expect a packed line-up of comfort foods from a variety of local and international vendors like Toronto’s Mythology, Portland’s Snackrilege, Los Angeles’ Southern Fried Vegan, and more! Sky-high burgers, creamy bowls of mac n’ cheese, and epic brownie sundaes are only some of the items that are going to make this one feast attendees won’t soon forget. Vegandale started as a Toronto street with a collective of vegan businesses, and is now expanding across North Americato show the world the ease of living without the use of animals. The upcoming Vegandale Festival promises guests more of the food, cold brews, entertainment and epic art installations that have put them on the map in previous cities! Fans are encouraged to follow the festival’s Facebookpage, and Instagram account for vendor sneak peeks and upcoming contests.